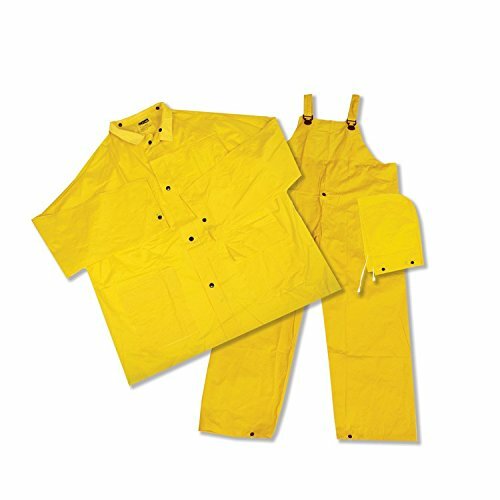 Designed for 100% waterproof protection, our economy line of rainsuits is generously cut for ease of movement and comfort. With such features as electronically welded seams, easy access cargo pockets, vented cape back, snaps for adjustable fit, and heavy duty zipper, they are great for work or play. Ideal Applications: General purpose, light duty. 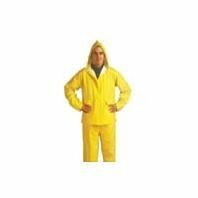 3-piece suit includes: jacket with detachable hood, cape-vented back, underarm air vents & bib pants. 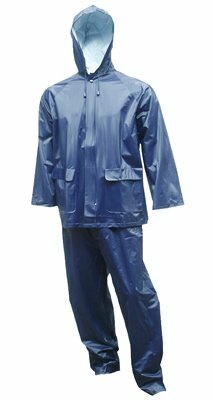 Double heat sealed seams, raglan sleeves, PVC collar and storm flap. Available in Yellow.25mm 2 ply PVC.